The Lebanese Community of South Africa has a rich history that dates back to the late 19th Century, when the first immigrants arrived in Johannesburg. Having travelled to Johannesburg from Sebhel, Mezyara, Besharre, Hadath El-Joube, Maghdouche and other smaller cities, the majority of Lebanese immigrants were Maronite’s. As a community devoted to their faith, the Maronite’s refused to risk losing their identity and wrote to the Maronite Patriarch about their situation, insisting that a Maronite Priest come through to South Africa to continue their traditions and the Maronite Rite. Having empathised with the struggle of the Maronite community in South Africa, Patriarch Elias El-Houavek sent Fr. 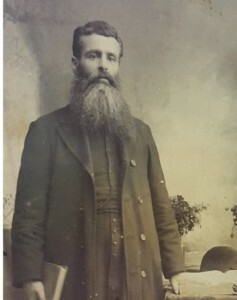 Emmanuel El-Fadle to South Africa, from North Lebanon in 1905. He began serving the South African community on both social and spiritual levels, ensuring that the Maronite faith was celebrated and nurtured on South African soil. He left South Africa 4 years later. 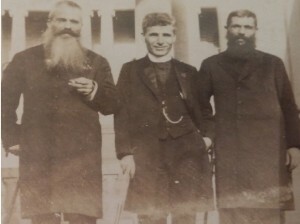 1910 saw the arrival of Fr. Joseph Ashkar who built a solid foundation for the community, having constructed a church, a home for priests and a resilient community. This dedication ensured preservation of the Maronite Faith, making the community feel safe, secure and at home in their adopted land. 1936 was an empowering year for the Maronite community. Fr. Peter Alam acquired a former Dutch Reformed Church at 61 Mint Rd, Fordsburg Johannesburg and subsequently built a Maronite community centre, and established the second Lebanese school in South Africa. Fr. Peter Alam tirelessly served the community for 34 years until his death. Another Maronite landmark was purchased in 1947 – the ground at Cedar Park, Woodmead, which resulted in the construction of Our Lady of the Cedars’ Church in 1990. Dedication of the new church took place on Palm Sunday – 8th April 1991. Through the efforts of Fr. Elie Madi, the Shrine of Our Lady, the priests’ house and the community centre were built on these gorgeous grounds. 1992 was a historical year for the community when Patriarch, Cardinal Nasrallah Peter Sfeir, Maronite Patriarch of Antioch and the entire Middle-East visited South Africa. This was the first visit of a Maronite Patriarch to the continent. By the late 90s, the Maronite community had flourished in spiritual, intellectual, social and cultural activities – and notably in numbers. In 1999, the community came together to watch the unveiling of the new statue of Our Lady of Cedars on the Shrine at Our Lady of the Cedars’ church by Archbishop Manuel Monteiro de Castro, Apostolic Nuncio. As faith, community and tradition continued to flourish, 2002 saw the opening of the new Shrine of Our Lady at Mulbarton and celebration of the arrival of the statue of Our Lady from Fatima, Portugal, in the presence of 6000 Maronite’s including the Apostolic Nuncio, Archbishop Blasco Francisco Collacao and Superior General, Fr. Khalil Alwan. As numbers continued to grow, the commu nity celebrated their faith in the official opening of the new Church of Our Lady of Lebanon, Liefde-en-Vrede (Love and Peace) in Mulbarton, South of Johannesburg. 2008 was another historical year for the Maronite Church of South Africa as His Eminence Maronite Patriarch and Cardinal, Nasrallah Boutros Sfeir, again visited South Africa, consecrating the new church and shrine, Our Lady of Lebanon, Mulbarton. January 2011 saw the opening of the New Lebabese School, Our Lady of Lebanon, Maronite Catholic School, in Multbarton next to the Maronite Church. In February 2015, Archbishop of JHB, His Grace Buti Tlhagale, in the presence of the General Superior, Fr Malek Abou Tanous, the Maronite Apostolic Exarch of Western and Central Africa, Mgr. Simon Faddoul, and the Charge d’Affaires of Lebanon in South Africa, Mr and Mrs Ara Khatchadourian, His Grace blessed the intermediate building of Our Lady of Lebanon Maronite Catholic School in Mulbarton. This year, another historical moment took place as the community came together in honour of his Beatitude, Cardinal Bechara Boutros Rahi. Over the years one thing has become inspiringly clear, the Maronite Church is a family church, and our precious family resides resolutely in the heart of God and in the hands of Jesus, Mary and Joseph. We continue to flourish, together.